Good Morning, my friends! I hope this morning your sun is shining and the birds woke you up. I am super excited to bring you this review today! DISCLAIMER: I got the product to review. Just the product. I was not paid for my ideas, comments, or opinions. This review is for Tender Heart Shop. They are a crochet shop with LOTS to chose from. I seen the campaign, and decided since I write and crochet that this would be an awesome product for me to review. I didn't have enough followers, so I had to write an appeal to be let in and it worked! Thankfully, Tender Heart Shop decided to invite me. This is a 35+ set and it comes with everything included. It's really nice, isn't it. Well, after I got in the campaign I got the "its in the mail" email. It was EMPTY! Not one hook or marker! I was so disappointed because I felt like this was MY campaign. Like, I was meant to review this. What a bummer. I notified Tender Heart Shop and told them, and they said Amazon screwed up. This is NOT the first time Amazon has screwed up my order. The nice people at Tender Heart Shop said I could keep the empty case, and another full one would be on its way in 2 days. It came yesterday, Fed Ex. WOW!!! 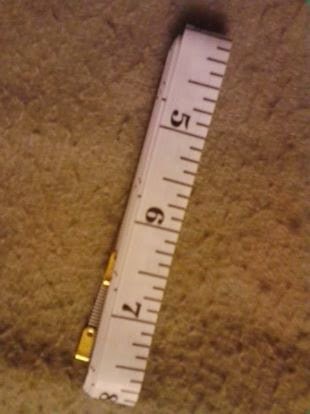 It has hooks from 2mm-8mm. It came with 12 aluminum hooks. They aren't market with A, B, C, D, ect... Just the number size. All of them, aren't they pretty all in a row? Here are a few of the other items in the kit. It came with everything a crocheter needs. I love this case, its so portable. The kit came with the case, hooks, darning needles, fold up scissors, measuring tape, 2 pins to hold your stitches, a stitch counter, a gauge counter, a bunch of stitch markers. Over 35+ items in this Ultimate Crochet Hook Kit from Tender Heart Shop. The pins for your stitches. 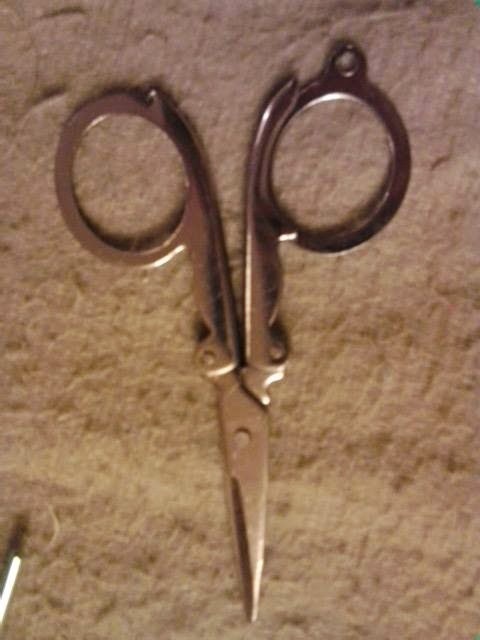 The folding scissors, they came in a little plastic bag that the lid folds down into so they don't have to be loose in the kit. OUCH! 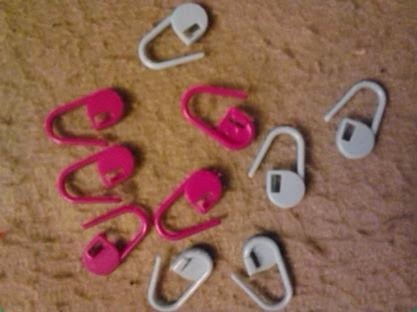 The stitch markers. I liked these. The ones I have don't lock. These will stay on forever. I was excited about these, I use my stitch markers a lot. Here is the little stitch counter. I have never used one before, but I get lost counting and this could come in handy if I don't forget to use it like I forget to count. 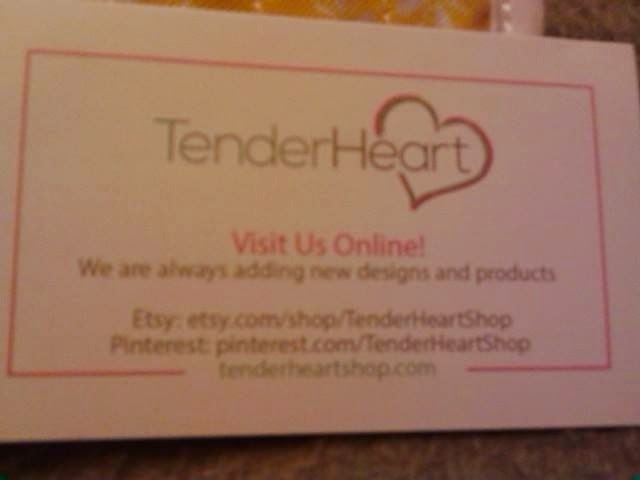 I want to give you the links to Tender Hearts Shop. They have a link for everything. I follow them everywhere and on everything! I don't want to miss a thing! Here is what Amazon has to say about the Ultimate Crochet Hook Kit. A FANTASTIC GIFT! --This all-in-one kit would make a perfect gift for anyone who is learning to crochet, a beginner just starting out, or a seasoned crocheter on the go. This crochet kit makes an ideal gift for any craft lover; we wouldn't blame you if you kept it for yourself! 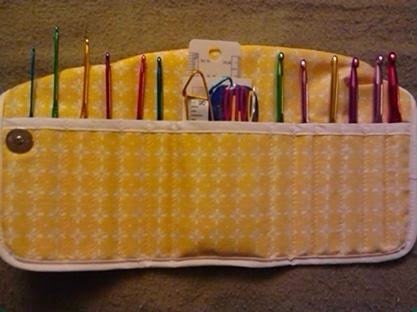 THE COMPLETE CROCHET HOOK KIT -- Store your crochet hooks in this custom designed premium fabric case. 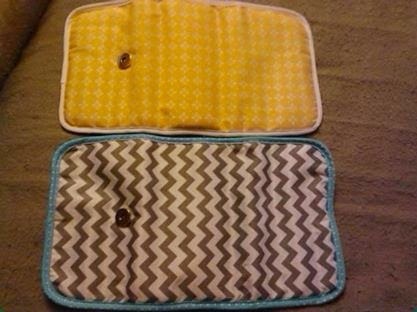 The magnetic closure holds the case securely in place and prevents the crochet needles from falling out. 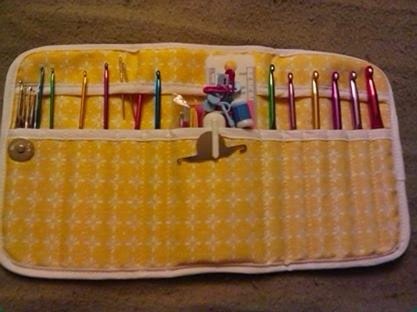 The Tender Heart crochet case holds 12 hooks of various sizes in the slots and has a flap to protect the hooks from falling out or catching on anything. 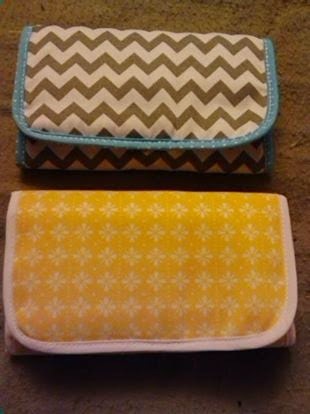 The tri-fold case is great for travel and crochet on the go. 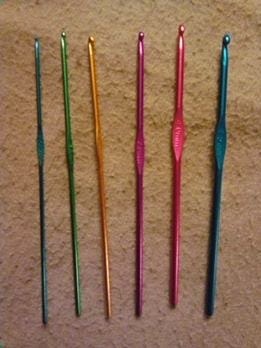 WHAT MAKES THIS CROCHET HOOK KIT DIFFERENT? 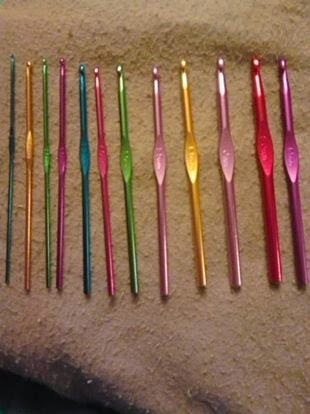 -- This is a premium quality crochet hook set made from the highest quality aluminum and brightly colored handles to help identify yarn needle sizes quickly. The complete all-in-one set comes in a custom designed case with a designated place to store each of the tools. 100% MONEY BACK GUARANTEE -- We hope that you will love this crochet kit, however if you're unsatisfied with this product for any reason, please just let us know and we will refund your purchase. Now, isn't that a good deal. You cant beat it for the price. 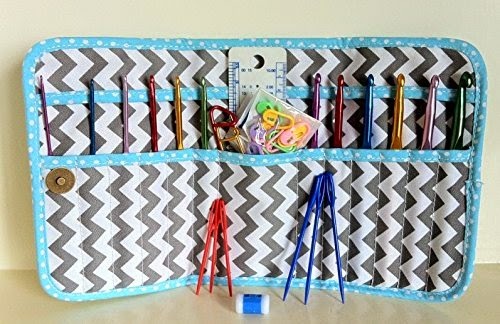 I loved the tri-fold hook case. Since I have 2 I kept the yellow. Its my favorite color. 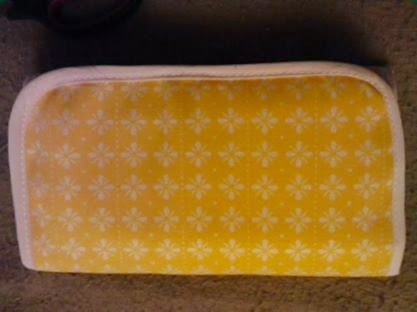 Its padded, and it has a snap that opens and closes easily. Its a big snap so don't worry about it pulling off or anything. The hook case is sectioned off. It has room for 12 hooks, plus the big space in the middle to put everything else. 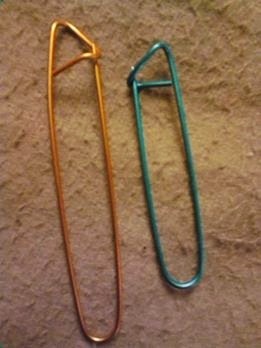 There is room for a couple skinny hooks in each space if you chose to store them that way. 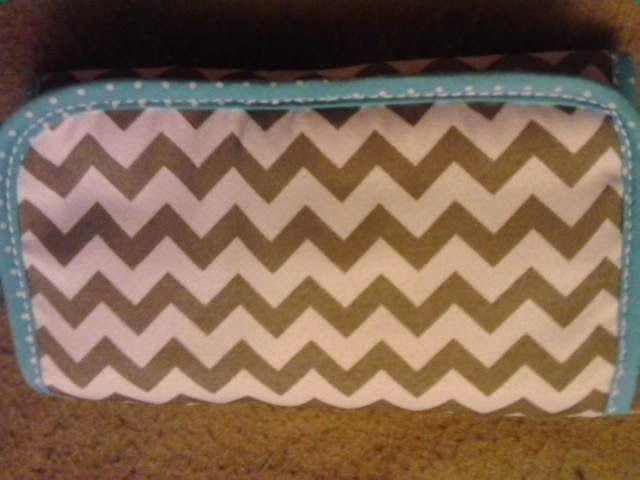 The "extra" case...I think I am going to give this one away! See where your hooks go, and the big space in the middle. It even has the cover that goes down over top of your hooks. Plus, that's all my goodies. 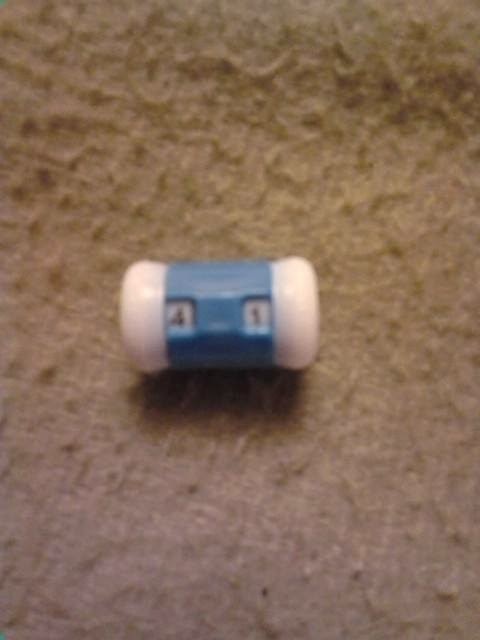 Opened up so you can see the snap and the back. I really think they are a very nice case and all the items that came with it seem to be of good quality. 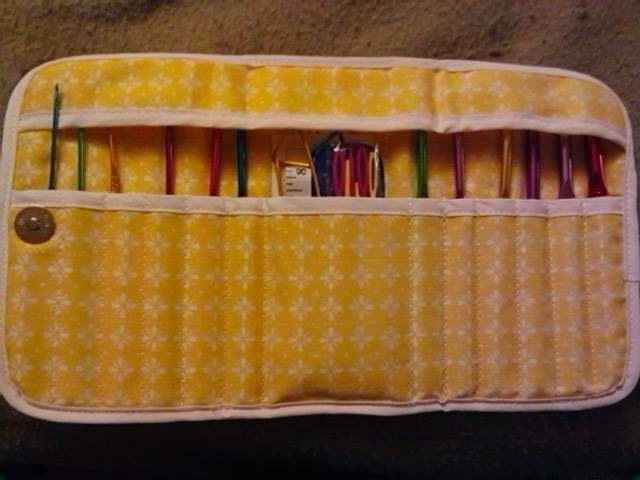 Since I am new to crochet, I sure could use this case and the 35+ extras that came with it. I have never used a stitch counter, but now I have one to try out! Aren't they pretty? All of the information you need are on the cards. I made sure to put every link they have so you can do your research and figure out if Tender Hearts Ultimate Crochet Kit is for you. 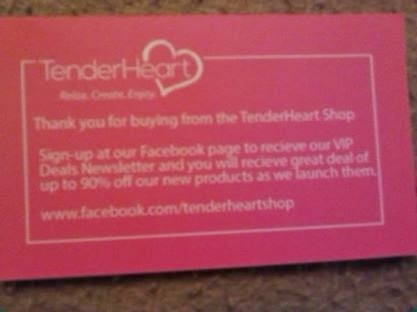 I plan to do my first YouTube video about the Ultimate Crochet Hook Kit from Tender Heart Shop. I am working on it now and will add it when I am done. I wanted to get this out today so all of you can order your own. 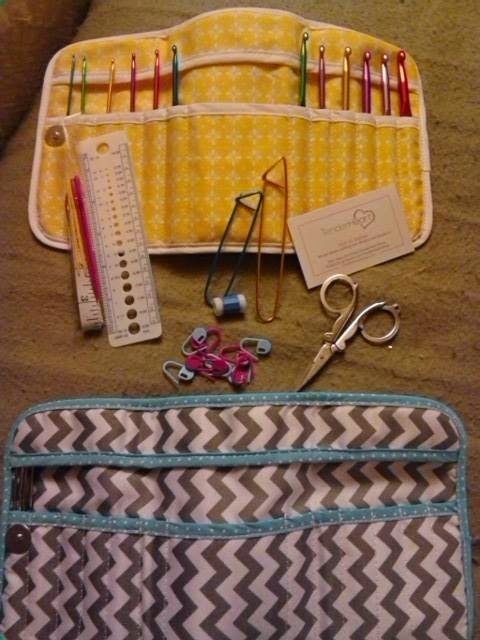 If you are new to crochet like I am, you are going to love this case and all the goodies that are included. Sometimes when we start out we don't have all those little things we don't know we need. Sometime, some day you will use everything included in this kit. 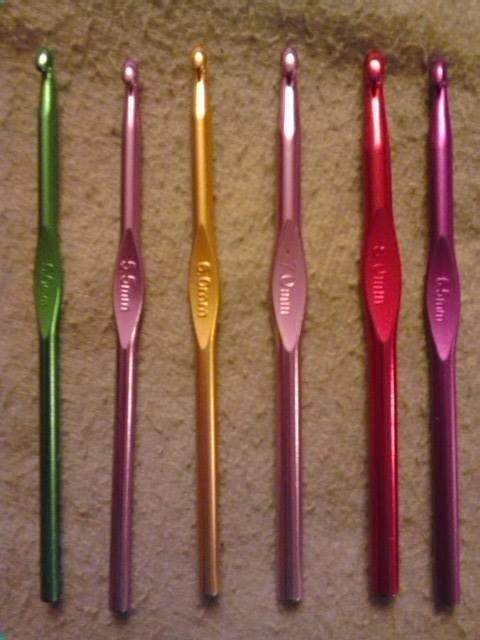 Plus, they have a 100% money back guarantee, buy this Ultimate Crochet Hook Kit with confidence. It would also make a great gift for a new crocheter or someone who has been doing it a long time. I love mine, I know you will love it too. Since Tender Heart Shop was so nice and let me keep the extra case I decided to give it away to one of my readers. If you comment and let me know why you need a new case, I will chose a random winner from the comments. I will choose a winner by tomorrow morning. I want to get it mailed out quickly because I know someone is going to need it! Please leave me your name and your email so I can contact you if I choose you to be the winner. 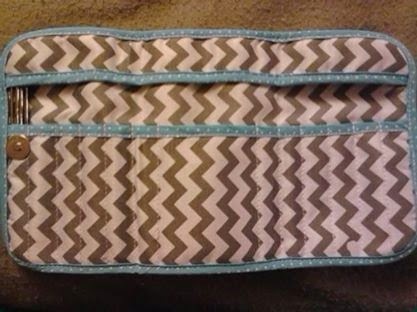 The case will be shipped with tracking so we both can know where the mailman is with your crochet goodies. I may even add a few extras to the kit. So, that's it for today's review. Did you love it? 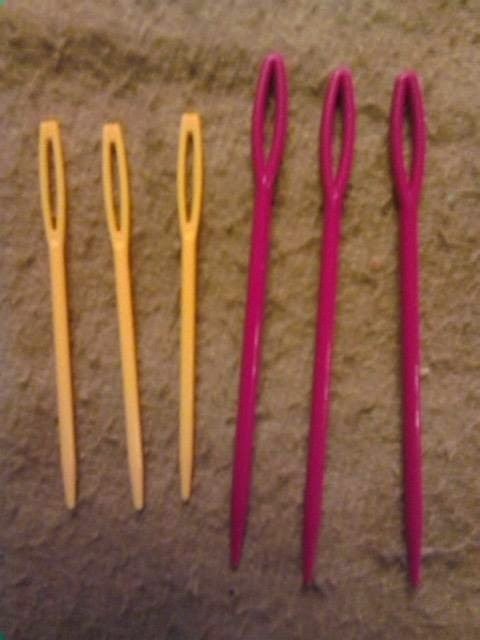 Are you interested in the Ultimate Crochet Hook Kit? I LOVE mine. Get one for yourself, and as a gift. Its a perfect present for young and old. This is my favorite review yet, I guess its because crochet is something I am passionate about and I hope I can continue to help Tender Heart Shop with reviewing for them more often. I would love to do it every time they have a campaign listed. I love to blog about crochet. I wish I could put ALL crochet reviews, but sadly, I cant get into everything. I hope this review today finds you well. Please, don't forget to leave your email so I can contact you. Remember to answer the question! 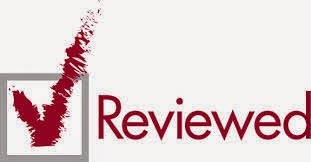 Please share, that's why we write and review! Thank You! Another one completed, and I loved this product! I have been on a lucky streak! Whats On My Hook, Issuu and a Winner! My Finished Spring Wreath and a Sneak Peek! I throw brand parties, I do consumer reviews in all areas. Let my blog & I work for you!